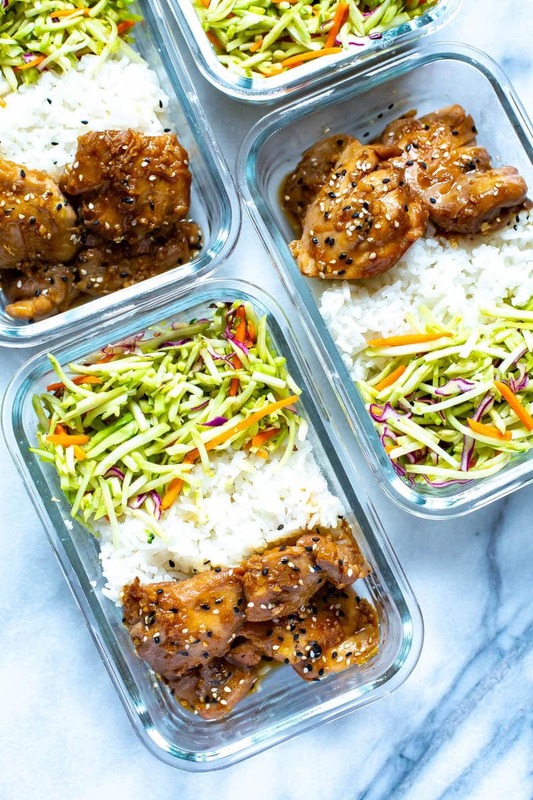 These Garlic Sesame Instant Pot Chicken Thighs are perfect for your weekly meal prep and they are covered in the best sticky, sweet sauce – serve with rice and veggies for a full meal! 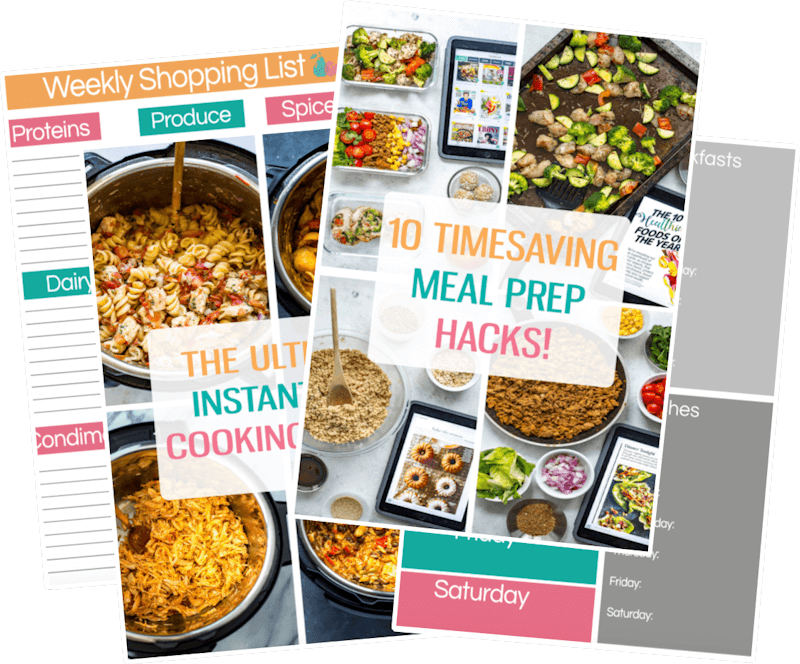 When deciding what Instant Pot recipes to make for your weekly meal prep, choosing chicken thigh recipes is a must! 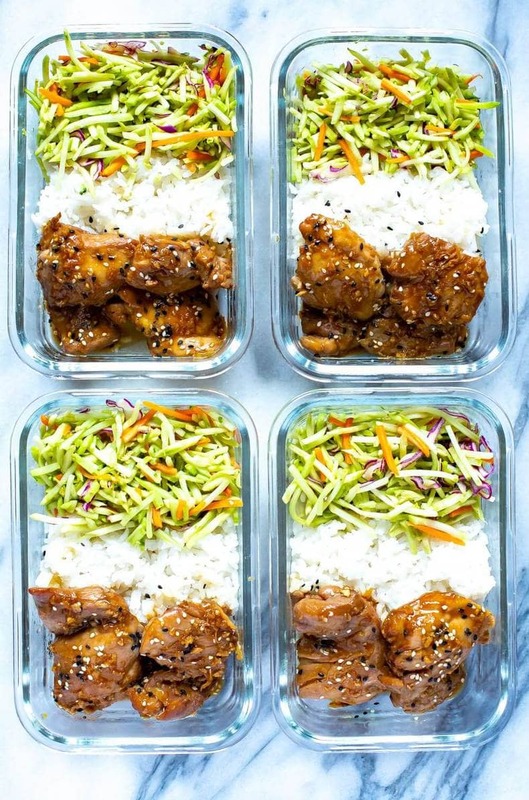 Chicken thighs are inexpensive, pair well with a wide variety of seasonings, and more importantly, they fit easily into meal prep containers. 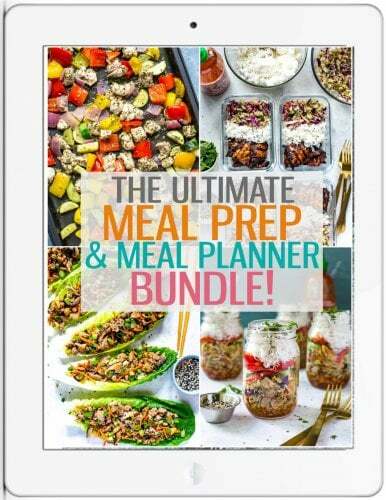 You know we love meal prep over here! One of the best benefits of making Instant Pot chicken thighs, however, is their ability to stay moist, even under long periods of cooking. Because breast meat is leaner than thighs, the same cannot always be said about slow cooking or pressure cooking chicken breasts. Breast meat can dry out quickly, so if you're able to use chicken thighs, please do so! 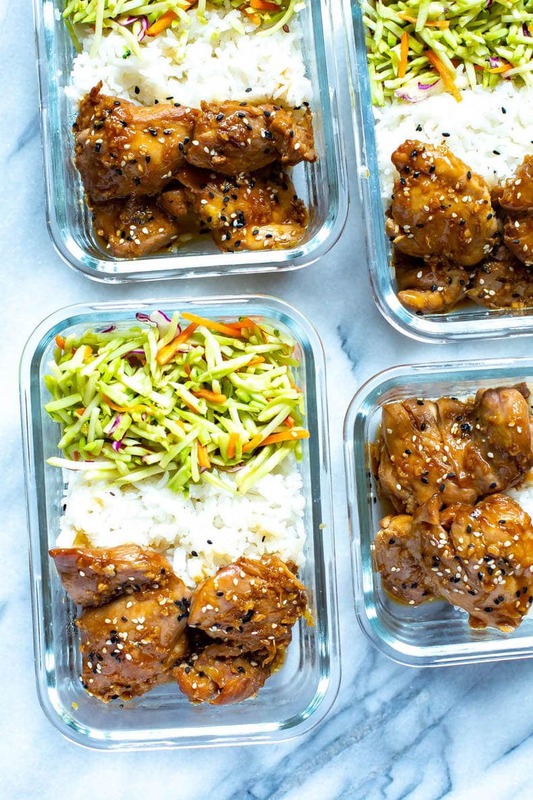 Now, let's talk about this recipe for Garlic Sesame Instant Pot Chicken Thighs. I think you are going to love this Instant Pot chicken dinner! 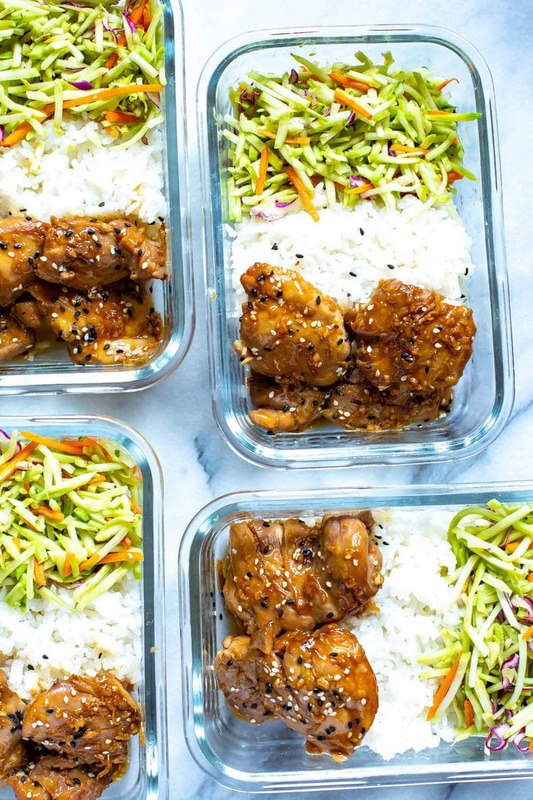 What's in the meal prep containers? Boneless, skinless chicken thighs covered in sticky-sweet garlic and sesame sauce, with a sprinkling of black and white sesame seeds. 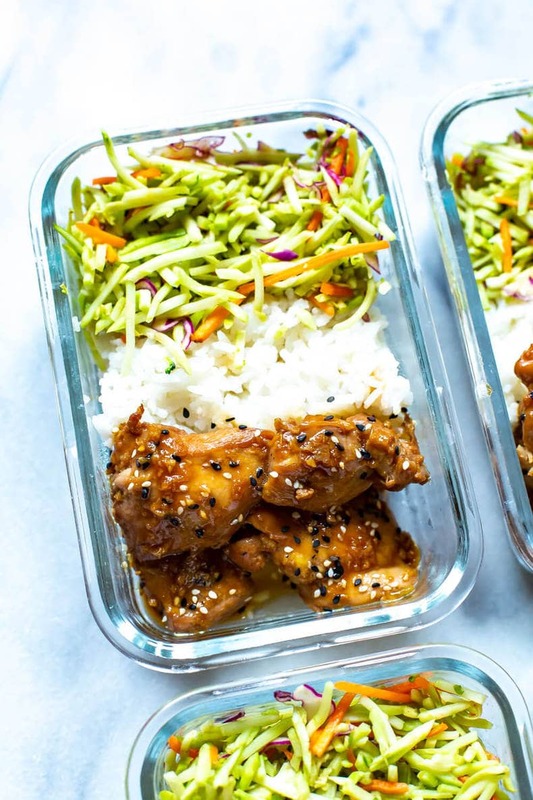 Using white rice keeps this Instant Pot chicken thighs recipe gluten-free. Either Jasmine or Basmati rice are great choices for an Asian meal like this one. To make preparing the dish quick and easy, we use packaged broccoli slaw mix, found in the produce section of the grocery store. The broccoli slaw is tossed with a lightly sweetened sesame oil and vinegar dressing. Can you cook frozen chicken thighs in an Instant Pot? Yes, it IS possible to cook frozen chicken thighs in an Instant Pot, and other proteins, too! Frozen meat does require a few minutes longer to cook, but if you're making things like Instant Pot salsa verde chicken or soup, a few extra minutes is worth it for the convenience. That being said, the Garlic Sesame Instant Pot Chicken Thighs recipe requires sauteing the chicken thighs before pressure cooking them. Sauteing is impossible with meat that's frozen, so this recipe isn't a good choice to make with frozen chicken. Aside of the visual appearance, there isn't much difference between black and white sesame seeds. The taste difference is very subtle; many people don't notice a difference at all. The main difference between them is, black sesame seeds still have the hull intact while the white seeds are hulled. How long do I cook Instant Pot Chicken Thighs? The Instant Pot chicken thighs time for cooking is SO quick, you will barely have time to change out of your work clothes before dinner is ready! You'll spend a couple of minutes sauteing the chicken thighs, then after 5-10 minutes of time for the Instant Pot to come to pressure, there are just 3 minutes of pressure cooking time. 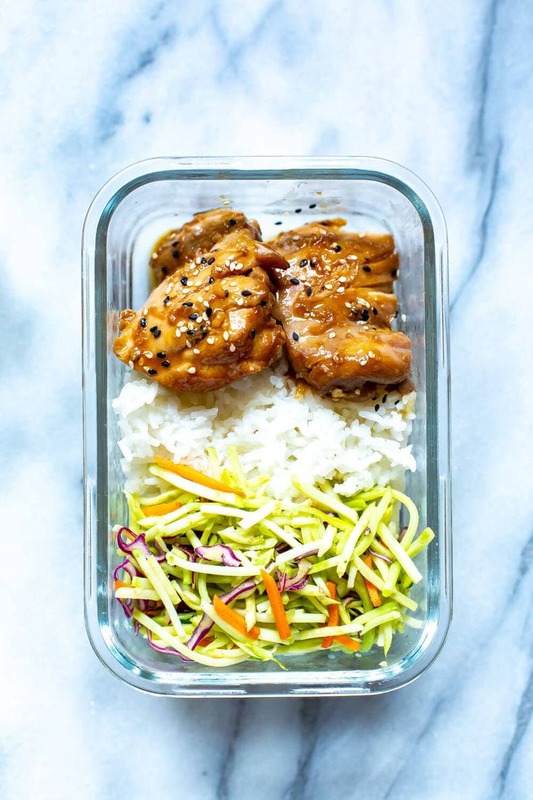 These Garlic Sesame Instant Pot Chicken Thighs are perfect for your weekly meal prep and they are covered in the best sticky, sweet sauce - serve with rice and veggies for a full meal! Add sesame oil to Instant Pot and turn Instant Pot into saute mode. Saute chicken thighs for 1-2 minutes per side, then add soy sauce, brown sugar, garlic and gingerroot and stir slightly amongst thighs. Place the lid on and press the pressure cook button. Select the high setting, then set to cook for 3 minutes - Instant Pot will take about 5-10 minutes to preheat then the 3 minutes to pressure cook. While chicken is cooking, cook rice with water and butter in a rice cooker and then mix together rice vinegar, sugar, sesame oil, dry ginger & salt in a small bowl until well combined and sugar is dissolved. Pour over and toss with broccoli slaw then set aside. Make the cornstarch slurry by mixing cornstarch and water together in a small bowl. Do a quick release of the pressure when Instant Pot is done by flicking the switch at the top with a spoon, then open lid when safe to do so. Gently stir in the cornstarch slurry. 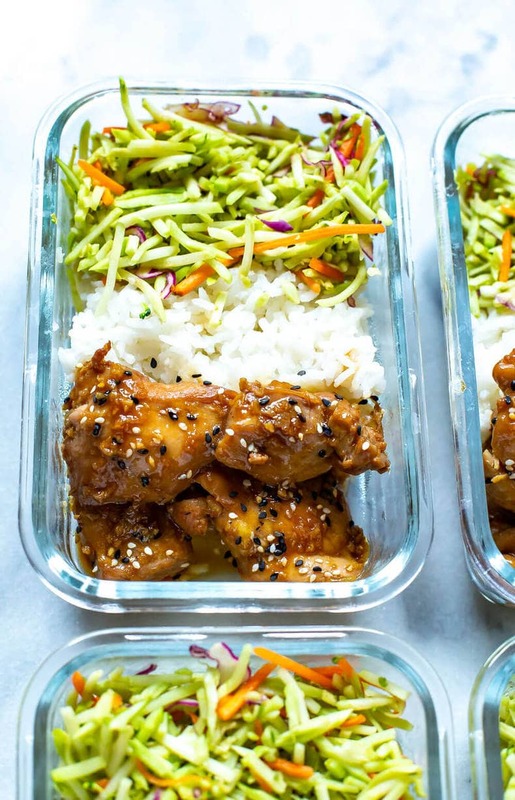 Add two chicken thighs to each meal prep bowl and drizzle a little bit of sauce overtop, garnishing with sesame seeds if desired. 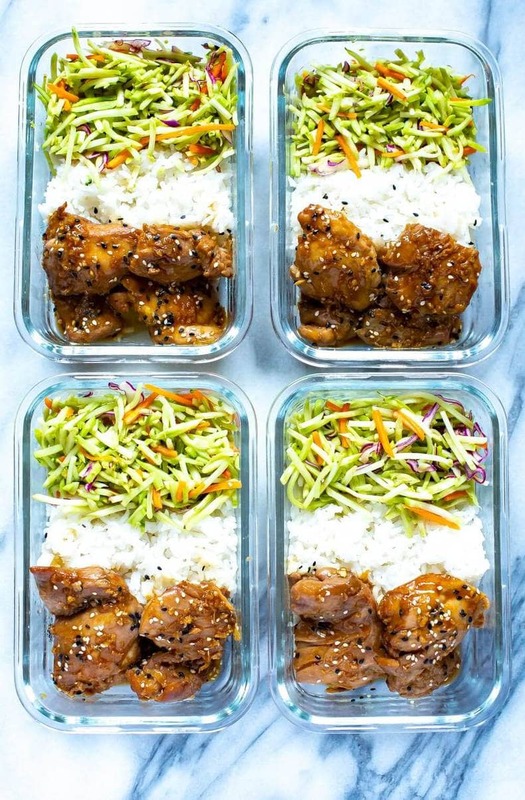 Divide the rice and broccoli slaw evenly among bowls. Serve and enjoy! Made this recipe for the family. They pronounced it a keeper. So glad you liked it Susan! I just double-checked and I see soy sauce is listed in the ingredient list and the instructions, maybe you missed it by mistake! This looks SO good but I don’t have an Instant Pot. Do you think it would do okay on the stovetop? I wouldn’t be able to provide alternative instructions unfortunately. I would assume you could just saute the chicken on either side until done using the marinade though!